Following an inspection with Hounslow Highways’ Network Manager, earlier this month and pursuit of outstanding matters previously raised with Hounslow Council’s Traffic Team, I am able to offer some updates that may be of interest to residents of Syon Park Gardens and surromnding areas. Amenity area near the junction with Great West Road – Late last week, spaces either side of the entrance to Syon Park Gardens were tended to by Hounslow Highways which involved plenty strimming and much mulching. It is expected that this will help reduce further weed growth and improve the overall aesthetic appearance of the vegetation. 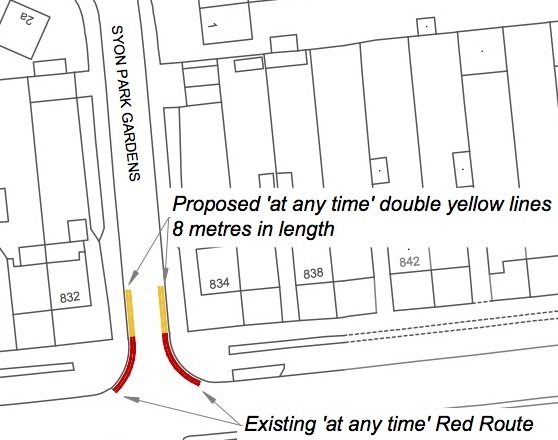 Junction with Great West Road – In recent months a number of requests have been made for yellow lines to be marked to improve safety at the turning on to and from the A4. The council’s traffic team has now prepared a scheme that will go out for statutory consultation which from publication to installation usually takes 14 weeks. A copy of the drawing for this proposal can be seen here. 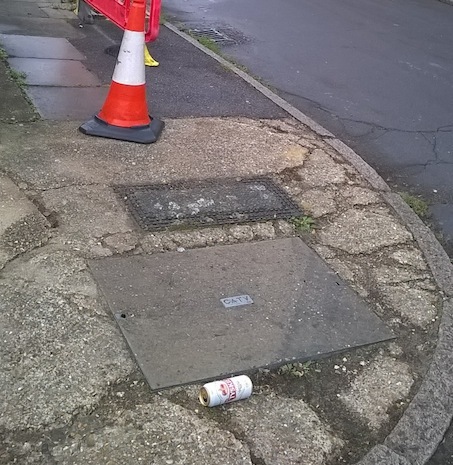 Limited pavement works – Residents may have seen notices on lampposts advising of pavement replacement in October 2015 but this is not for the whole road. 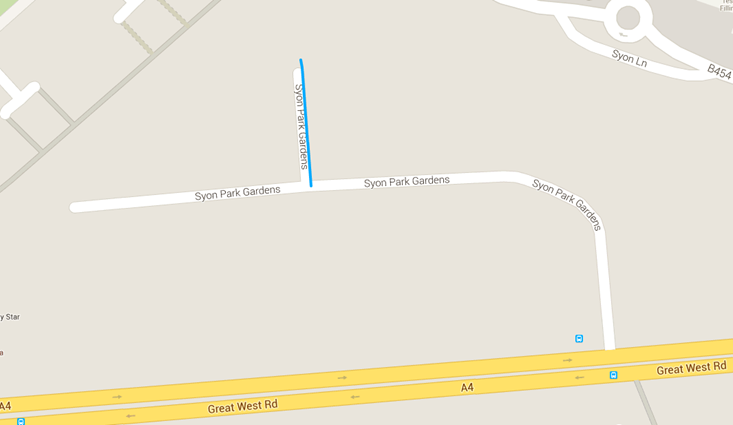 Works at the cul de sac, which will incorporate the damaged corner outside 69 Syon Park Gardens, are due to start on 27 October 2015. The remainder of Syon Park Gardens is currently scheduled for 2017 but in the interim, other defects if reported to Hounslow Highways (see below on how to make contact) will be inspected and repaired if not considered up to standard. Consultation on parking – In the past 18 months, residents of roads north and south of Great West Road have seen how the development by BSkyB on the former Harrods warehouse site and its own has had an impact on commuter parking. The proximity of other large employers and Syon Lane Station also affect. This has led to demand for residents only parking zones on Northumberland Estate, Wyke Gardens and Syon Lane. A controlled parking zone operates in Rothbury Gardens and Hexham Gardens and will soon be extended to Northumberland Gardens. 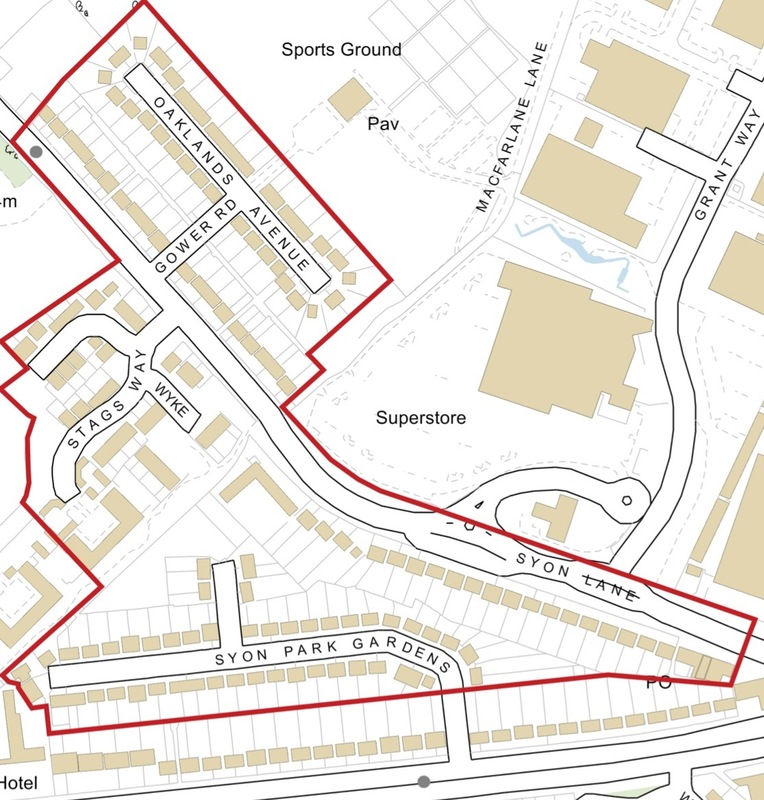 Syon Park Gardens is included in an initial consultation to assess residents’ interest and letters from the council’s traffic team will be delivered shortly (and can also be viewed here, here and here) to explain controlled parking zones. Should responses show a demand a further consultation would take place offering precise detail; if accepted by residents a scheme could be installed within a year. If there is no demand for a scheme in Syon Park Gardens after this initial consultation then nothing will happen. Wood Lane to be fixed – Many Syon Park Gardens residents use and some have commented on the state of Wood Lane between Great West Road and London Road. 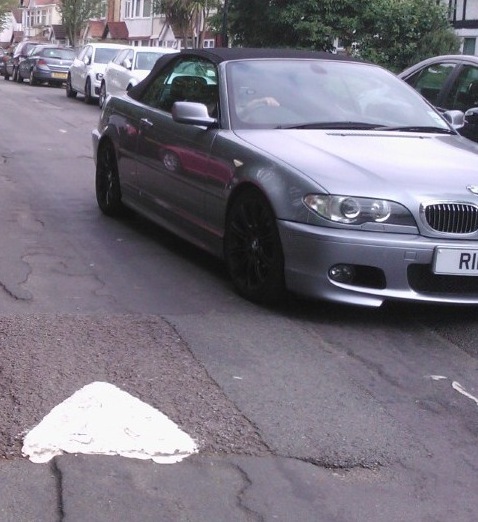 Hounslow Highways plan to start resurfacing from 12 October 2015. The works will be carried out nighttime 8.00 pm to 5.00 am on Monday 12, Tuesday 13, Wednesday 14, Thursday 15 and are due to end on Monday 19 October 2015; there will be no works on Sunday 18. The Rugby World Cup prevents activity on Friday 16 and Saturday 17 October 2015. More details and updates are available via the Wood Lane tags on this website. Hounslow Highways – Hounslow Highways is responsible for maintaining Hounslow’s roads, pavements and street lighting as well as providing a number of other key services including street sweeping and cleansing, winter maintenance and enforcement. They have a 25 year contract with the London Borough of Hounslow which started in 2013. Telephone the Hounslow Council call centre on 020 8583 2000 who will forward queries if relevant. I hope readers have found this to be a useful update and I should be happy to explain these issues further and respond to others if contacted.